If you are emigrating abroad, it is important to consider your current financial position and in particular any debts you have before you leave. 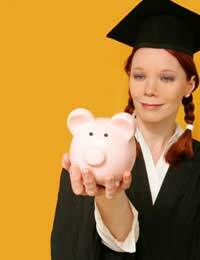 Student loans are in most cases, a gateway to education and building a career. They are most often provided by the Student Loans Company (SLC), which are repaid each month, from your payslip or through self-assessment if self-employed, when you are earning a salary of £15,000 or more per year before any deductions. The repayment schedule actually starts on 6 April after you’ve graduated or after you’ve dropped the course. Do You Still Have to Pay Your Student Loan if You Emigrate? When you complete the Overseas Income Assessment form, you must submit details about your employment and income overseas. When completing the form, you must specify the currency of any earned/unearned income and send evidence that shows the SLC how you support yourself financially. The SLC will then send you a letter confirming whether payments are due, the amount applicable and helping you to arrange direct payments. If you do not contact the SLC when emigrating and/or do not make the repayments, you may be subject to penalties from HM Revenue and Customs. As with UK residents, once your income goes above the student loan repayment threshold, you will be required to make repayments. You repay nine percent of your total earnings over this threshold. Because of differences in living costs, however, your repayment threshold when living abroad may not be the same as it is in the UK. You can find out the payment threshold applicable to your new residing country from the SLC website. Loans taken out before 1998 are subject to different rules. They are only to be repaid if you earn over £27,050. Like any other contract or loan, repayments must be made otherwise SLC may pass the debt to a Debt Collection Agency and you risk bad credit ratings, CCJs and difficulties obtaining credit and mortgages in the future. This is particularly important to note if you think you may ever return to the UK.Under these rules, you can also defer repayment if you earn under £25,937. You’ll need to write to SLC once each year to defer it. If you return to the UK for less than 3 months, you will still be treated as an overseas payer. If however you return for a period more than 3 months you must inform the SLC so that repayments can return to the UK system through PAYE or self-assessment. If you don’t inform them, you could end up paying double repayments each month. Don’t forget that it is important to update your address and contact details with the SLC if you move again whilst abroad. It is also very important to notify them if your income increases or falls, so that you don’t end up paying too much or too little.For more information you should contact the Student Loans Company (SLC) who can give you help and advice. Their details can be found on their website and on your loan agreement and details. What does one do if they are moving to the US without a job? For example, if moving abroad on a fiance or family visa, and employment is not possible until after immigration?